SOY KOTE PLUS is an environmentally responsible, high performance release agent that was specially formulated to prevent concrete from adhering to equipment and vehicles. SOY KOTE PLUS forms a safe, protective coating that makes cleanup quick and easy. Also repels mortar, grout, gunite, paint and road and industrial grime. Economical to use, and one application lasts for up to three days. May also be used as a preservative to help prevent corrosion. May be diluted up to 3 to 1 with water. May be sprayed or wiped on with a rag, mop, sponge or similar device. Smaller equipment may also be dipped. Always apply to a relatively cool, dry surface. Product may be removed (if needed) with any alkaline cleaner and a brush. 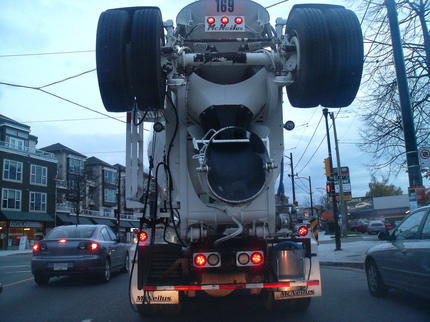 Rinse concrete truck or roadworking equipment well after using any cleaner product. If swallowed, seek aid from a physician. If sprayed into eyes, flush with water.